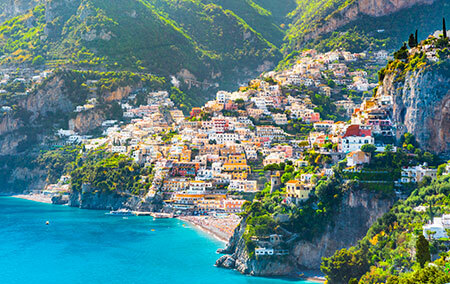 Discover the most beautiful places of the Amalfi coast, the Sorrento coast and the islands of the Gulf of Naples. Jump in the crystalline sea of Capri and let yourself be conquered by the many surprises created for you from You Know! 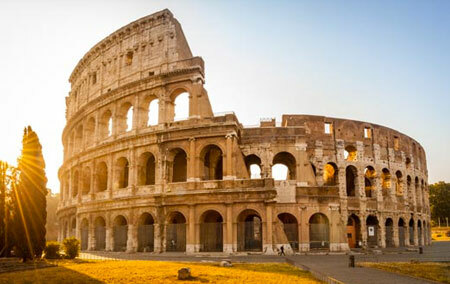 Whether you are staying in Sorrento, in the Amalfi coast, Naples or Rome, we do have the perfect tour for you! A floating masterpiece, a city of marble palaces built on a lagoon. 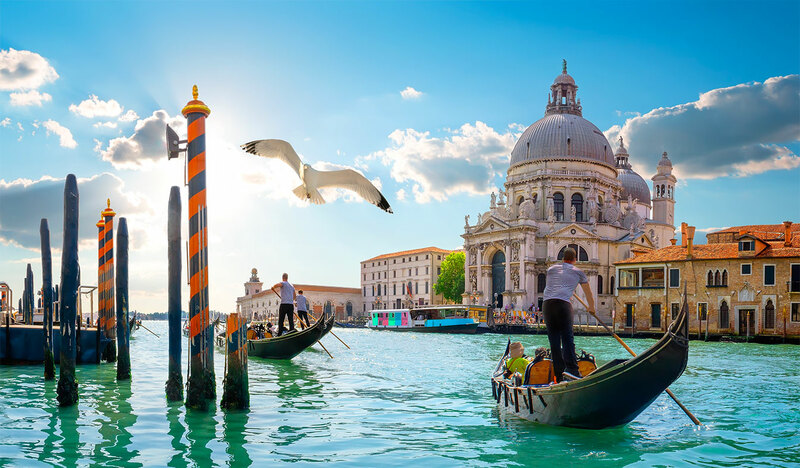 Venice is a city unlike any other: no matter how often you've seen it in photos and films, the real thing is more dreamlike than you could imagine. And the only way to discover it is by boat, getting lost in Venice’s maze of streets and canals. 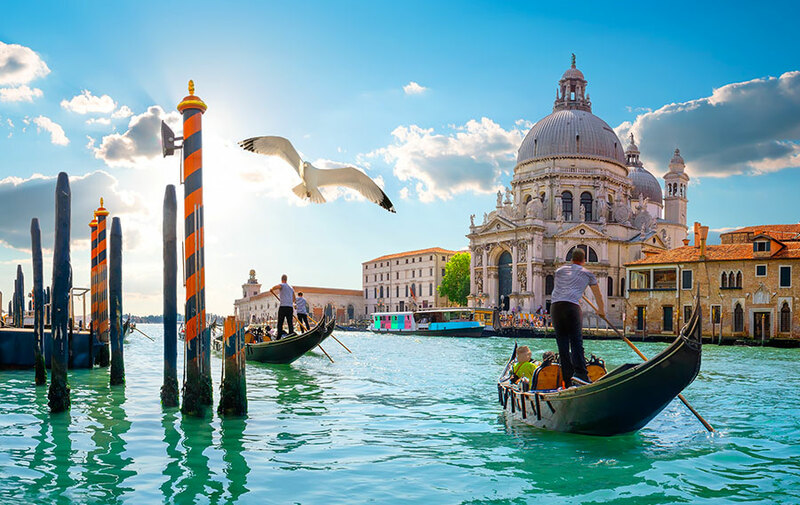 Here's a selection of the best boat tour in Venice. If you are staying in Sorrento or in the nearby cities, you cannot miss the opportunity to spend a day at sea with one of our boat excursions. 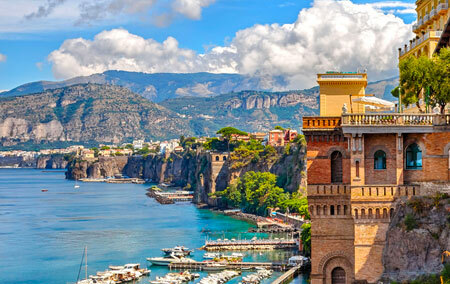 Click here to discover all our tours departing from Sorrento. Every day our boat tours depart from the marina of the stunning town of Positano. Choose the one that is just right for you and book your excursion with us. Straight from Amalfi, our boat tours will allow you to discover the wonders of the island of Capri and of the Amalfi Coast. Click here to find out more. 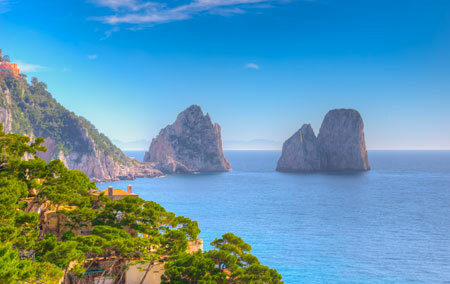 Rumoured to be the most beautiful island of the Mediterranean, Capri is the perfect location for your Italian holidays. Our boat tours leave also from here, if you want to discover the island by sea or the suggestive Amalfi Coast. 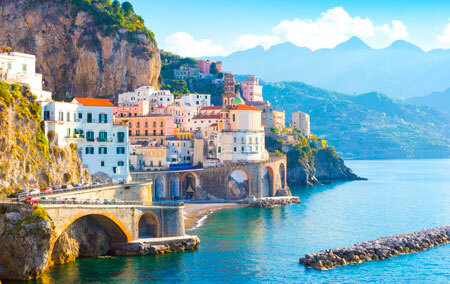 If you are spending your holidays in Naples and you have not planned to visit the Amalfi Coast or Capri, you will miss an experience of a lifetime. 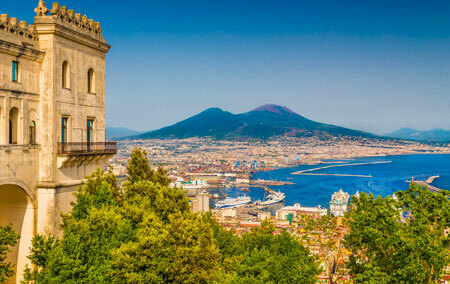 Choose one of our tours departing from Naples and we will take care of the rest! Let yourself be conquered from the beauty of the Sorrento peninsula and the island of Capri, also if you are staying in Rome. You will experience the comfort of the high-speed train trip and the relaxation of an unforgettable boat tour. 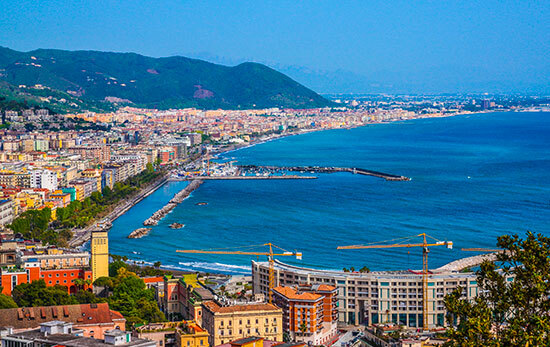 Salerno, beautiful town facing the sea, in the last years has established itself as as new tourism destination thanks to the perfect logistics and its charm. Perfect to host tourists from all over the world, Salerno is the port of departure for the those who want to enjoy a day of sea and sun. Here are the best boat trips leaving from Salerno. Land of sea, beaches, history and art. 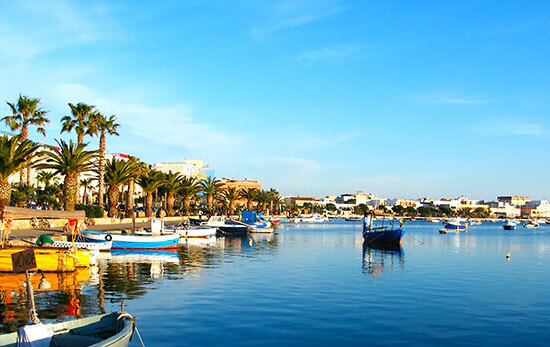 Porto Cesareo is a true hidden gem along the ionian coast of Salento. A small town of approximately 5.800 inhabitants, which during the summer season hosts tourists from all over the world thanks to its 17 km of golden coast and "Caribbean" sea, that today belong to the Protected Marine Area. Let's discover together which are the best boat tours from Porto Cesareo. 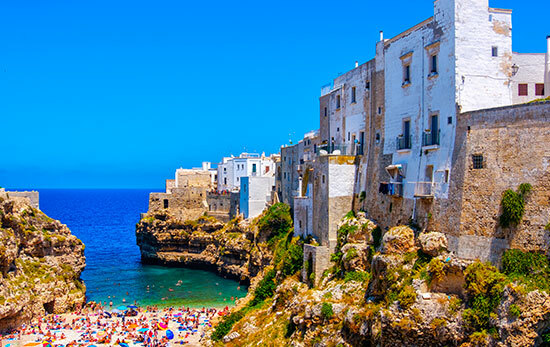 Crystal clear waters and cliffs pitted with caves carved by the sea give Polignano a Mare its uniqueness. A small town, known also as the “Pearl of the Adriatic,” it's just over 30 km (18.5 miles) from Bari. Make your visit to this small beautiful village an unforgettable one and discover the best boat tour in Polignano a Mare. 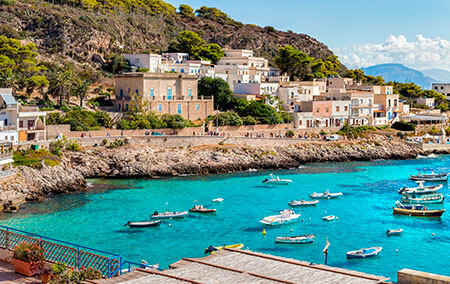 Welcome to the Egadi Islands: this archipelago, just a few miles off the the western coast of Sicily, offers a great deal of charm and diversity. Find the best boat trip for you and you'll find crystalline water in the most gorgeous shades of emerald and turquoise, real towns with real character, and surprisingly dramatic landscapes. 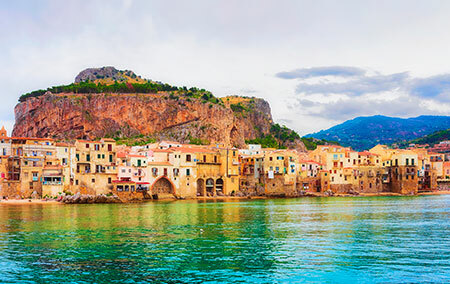 Beautiful Cefalù offers a rare combination of tourist attractions: one of Sicliy's finest beaches side-by-side with one of its greatest Arab-Norman architectural masterpieces. Here you will find the best boat trips in Cefalù, carefully selected by us for you! 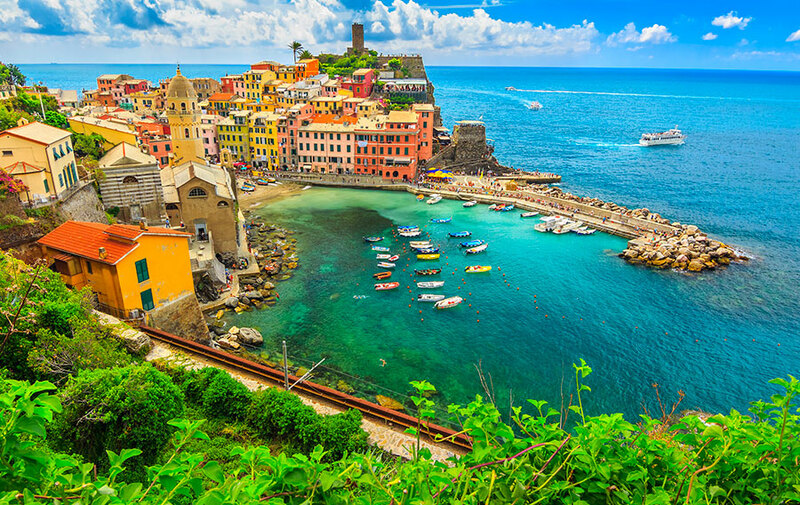 Cinque Terre is an unmissable destination for those who come to Italy. Recognised in 1997 a Unesco World Heritage Site, Cinque Terre is a land between the sea and high rocks, and one of the most romantic and striking spots in the world. Let's see the best boat tours and experiences in Cinque Terre, selected from us for you!